With Jaclyn being like the queen of the beauty industry when I saw this collaboration it was a MUST have and I'm so glad I purchased it. 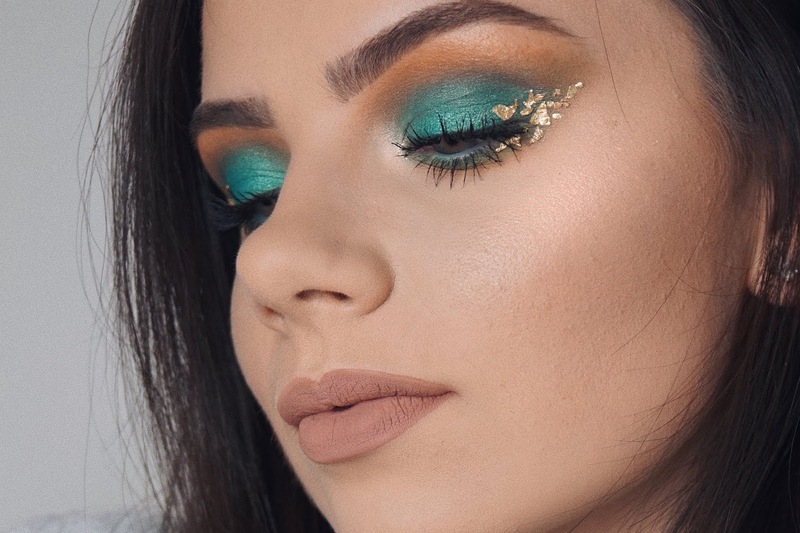 It has the perfect pigmentation as expected from Morphe with the creativity and beauty in the colours chosen/created by Jaclyn. 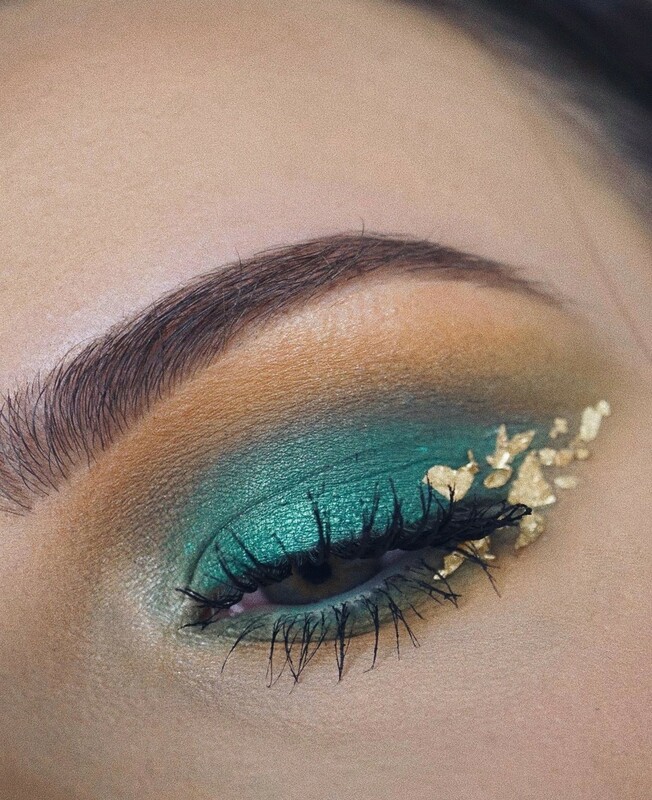 I chose to do a fairly simple look to show that anyone can use this palette, you don't have to be super creative to pull of a pop of colour on the lids. 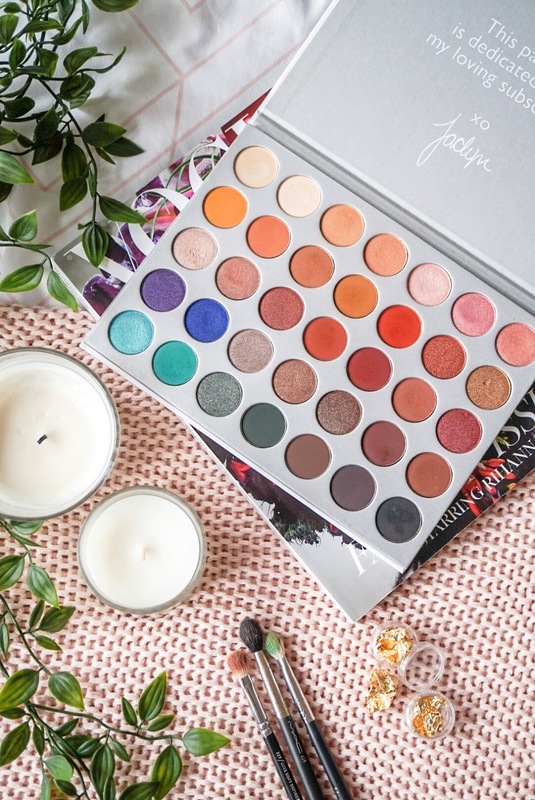 Out of all Morphe palettes, along with the 350 this one is my absolute favourite purely for the range of shades - you can go cool toned, warm toned, a pop of colour, really intense or simply natural. 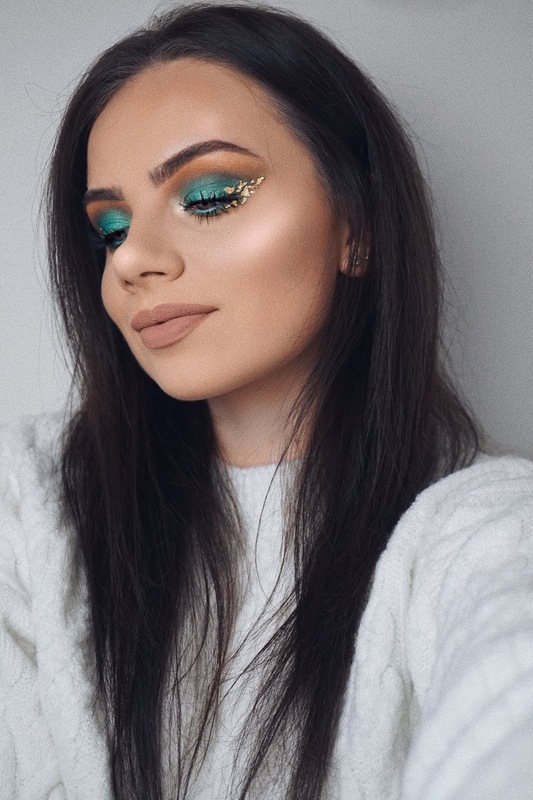 Jaclyn Hill x Morphe Palette - I used a mixture of the 4 light brown shades as my transition then I went in with the matte turquoise colour at the bottom of the palette. Once it was all blended smoothly I went over the top of the turquoise with the shimmery shade next to it in the palette. 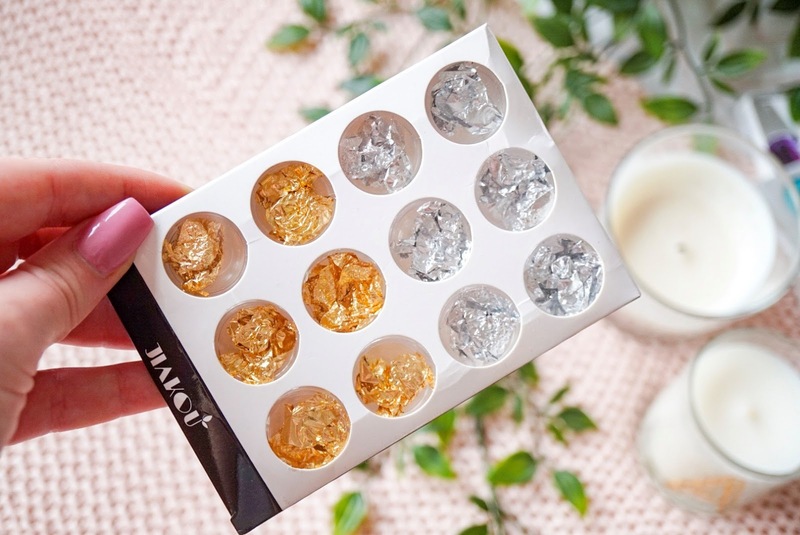 Gold Foil from Ebay - This foil is extremely fiddly and really tested my patience but I was so pleased with how it looked in the end. I simply stuck it where I wanted it using Duo Lash Glue.